Looking for a reliable car at an excellent price in the Arlington Heights area? 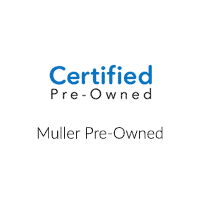 Muller Honda Pre-Owned has you covered with our fantastic selection of vehicles under $10k. Find great Honda models like the Civic, or the Odyssey for that next family trip away from Morton Grove. No matter what it is you’re looking for, we’re sure you’ll find something to love on our lot. Take a look at our inventory below and you’ll find plenty of great reasons to buy used. ON CLEARANCE!!!!! This is a 2014 Fusion SE. Includes a CARFAX buyback guarantee.. . Awesome!! . How comforting is it knowing you are always prepared with this superior Vehicle*** . Gas miser!!! 37 MPG Hwy!! . Call us at (847) 831-4100 for more information on this vehicle or to Schedule an Appointment for your Test Drive. This is a 2009 RAV4 4WD. Includes a CARFAX buyback guarantee** . This car sparkles!! . This really is a great vehicle for your active lifestyle! . Need gas? I don't think so. At least not very much! 27 MPG Hwy!! . Call us at (847) 831-4100 for more information on this vehicle or to Schedule an Appointment for your Test Drive. Find Your Next Car at Muller Honda Pre-Owned! Once you’ve found the perfect car for you, come visit us in Highland Park to give it a test drive. Our experienced and friendly staff is here to guide you through everything from trim selection to financing, and we can help you find AWD Honda models. If you have any questions, please feel free contact us and we’ll get you set up and on the road back to Chicago in no time!